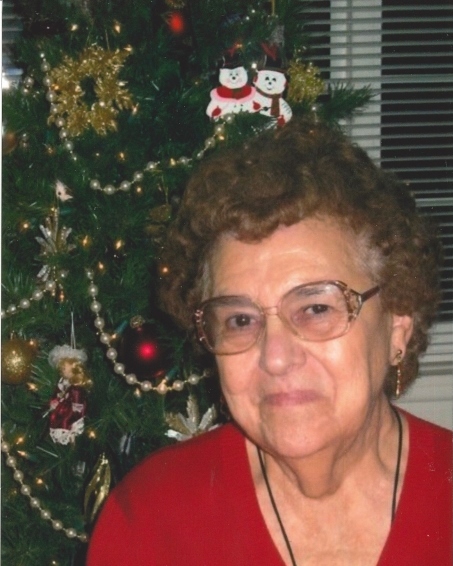 Ludy (Elvira) Vaughn (86) of Colusa passed away peacefully with her family by her side on March 27, 2019. She was born on May 13, 1932 to Elvira and John Alves. She was raised in Willows and then later made her permanent residence in Colusa. Ludy loved being around her family and friends. She had a love for gardening, doing crafts and making ceramics. More recent, she had enjoyed making jewelry for her family, friends and especially her caretakers. She was loved by many and will be greatly missed. She was a member of the Our Lady of Lourdes Catholic Church and a former member of the Lady’s Relief Society. Ludy is survived by her daughters Julie Stone (Don) of Williams, Cindy Vaughn of Meridian; son Tim Vaughn (Charlene) of Arbuckle; brother Jim Alves of Willows; grandchildren Kelley Alvarez, Toby Garza, Matthew Vaughn, Curtis Vaughn and Brian Stone. She was preceded in death by her loving husband (love of her life) of 47 years Oliver “Ollie” Vaughn; parents Elvira and John Alves; brothers John Alves, Larry Alves and Leroy Alves. A visitation will be held on Thursday, April 4, 2019 from 5:00p.m.-8:00p.m. with a rosary at 7:00p.m. at McNary-Moore Chapel 107 5th Street, Colusa. Mass will be held at 2:00p.m. on Friday, April 5, 2019 at Our Lady of Lourdes Church 345 Oak Street, Colusa. In lieu of flowers, donations can be made in Ludy’s name to the Heart Association Donation Processing Center PO Box 742030 Los Angeles, CA 90074, American Diabetes Association 2451 Crystal Drive, Suite 900 Arlington, VA 22202 or your favorite charity. The family would like to express their sincere thank you to the loving staff and residents of The Courtyard in Yuba City where Ludy was residing. They were truly wonderful to her and she loved each one of them dearly!